The new season for the re-named Belgian First Division A is set to begin this coming weekend. Those of you that have a rough grasp of European football will remember it as the Belgian Pro League. There are a few of you interested in this league. @ElPrincipito007, do you want to get the ball rolling with your thoughts? Personally, I've always had a soft spot for Club Brugge. Used to catch their highlights all the time. No idea why I started supporting them but it just happened. Get their kit every season so I'm willing them on this year. 1.83 to win away at Lokeren is tempting. Start on a high! The titel-holders begin their season with an away against Royal Antwerp FC, once a big rival for the club. They are new in the league and they are a mess right now, it's still not sure their stadium will be okay for the match on Friday. With Luciano D'Onofrio, once the big man of Standard with Fellaini, Witsel, Defour, Mbokani and Jovanovic, they have some international contacts (Porto for example) but until now no big signings. With this team they are a candidate for relegation, but I am convinced they will buy some players before the end of the transfer window. 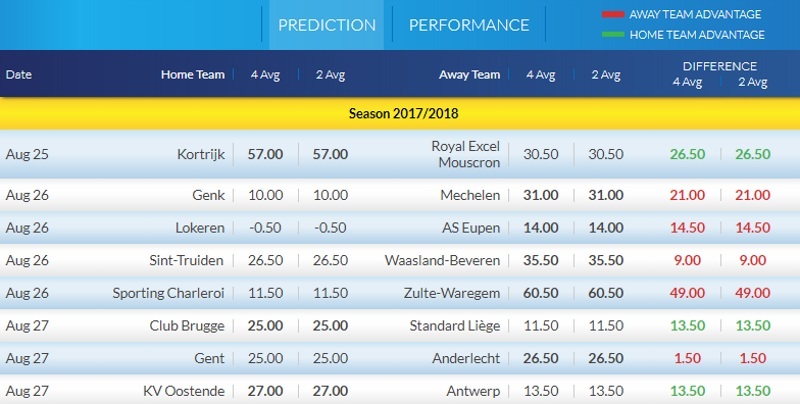 I really like the odds on Anderlecht, but it's the first match of the season, so be a bit cautious. Ah right, glad it's still got the same name. I've been misinformed! First games of the season are always cautious affairs on the whole so that's a good shout about Club Brugge. Do you have a favourite team in this league? But that doesn't influance my betting. If you're like me, you don't touch your home club in the betting markets! The most untrustworthy team going in the betting markets are my own Cardiff City. Anderlecht have won their last 4 games against Antwerp in all competitions. Zulte-Waregem have won their last 5 games against Eupen in all competitions. Standard Liege have won with at least a 2 goal margin in their last 3 games in Jupiler League. I couldn't believe some of the Saturday results. Goals were flying in. Maybe this is a sign that the Jupiler league is going to be a good betting season on betting overs possibly? The second weekend of action from the top flight of Belgium is coming up. The opening weekend saw a couple of big sides drop points at the first time of asking including Anderlecht and Genk. Here are the odds for these games. @ElPrincipito007 and @Marc Kearney, you guys held an interest in the games last weekend. What do you think of these match-ups? Did last weekend's scores make you more cautious about betting at this early stage? Hopefully some better results this time. Kortrijk look value to me as Lokeren were really really poor against Club Brugge. Except from last year, Kortrijk have a good home reputation. Anderlecht should bounce back this week but odds too short. Zulte Waregem at home looks a good bet. could link it with something else in the league. Guess you could do Anderlecht on the handicap. Oostende might be tired due to Europa League commitments but also the fact they are playing Marseille so it might take a lot out of them. Standard Liege have won with at least a 2 goal margin in their last 3 home games in Jupiler League. Standard Liege have won their last 7 home games against Genk in all competitions. Gent have drawn their last 3 home games against Antwerp in all competitions. It's week three in the Belgian top flight and three teams come into this round of matches with a 100% record. Zulte-Waregem, Club Brugge, and Charleroi are those teams. It's already getting interesting in the Jupiler Pro League! @ElPrincipito007 and @Marc Kearney, what do you two think for these games after your shrewd predictions last week? Great to have you involved in the early days of this section. Both Sint-Truiden and Lokeren changed manager already. In my opinion Waasland-Beveren is a bit overrated here. They got 2 draws (3-3 and 2-2) but are conceding too easily. Oostende was quite good last week at Anderlecht and are the big favorite here at home. 2 "miracles" for Antwerp so far. I really think that they can grab some points at home this season, but they can't Always be so Lucky. Genk is the better team, so I expect once again a very defensive Antwerp. But Genk has some attacking power so I guess they will score what probably can be enough here. @ElPrincipito007 and @Marc Kearney, it's the next round of Jupiler Pro League matches from Belgium. A few clear favourites being listed here and some decent value in a couple of the other games. What will you be looking at for this weekend of action? We are now into the fifth week of action from Belgium. Club Brugge and Charleroi are the only sides to remain with a 100% record. Surprisingly, Anderlecht are already 8 points off the pace with just one win and one draw from their opening four games. It's proving to be a fascinating Belgian top flight so far. Will it continue? What do you guys reckon? @ElPrincipito007, @Marc Kearney, @Mindfulness, @Tiffy, @gogetta, and @clubgowi? Both Kortrijk and Moeskroen are better than last year. As I said earlier, Kortrijk are a decent home team. They were the better team against Club Brugge, but the away team were more efficient. Moeskroen won against Gent after being 0-2 down, but without the red card for Gent no way they would have won. The possibilty Kortrijk will win this is for me higher than 50% so I am glad to take this one. We are now into the sixth week of the Belgian top flight. Club Brugge and Charleroi remain the two clubs with a 100% record. 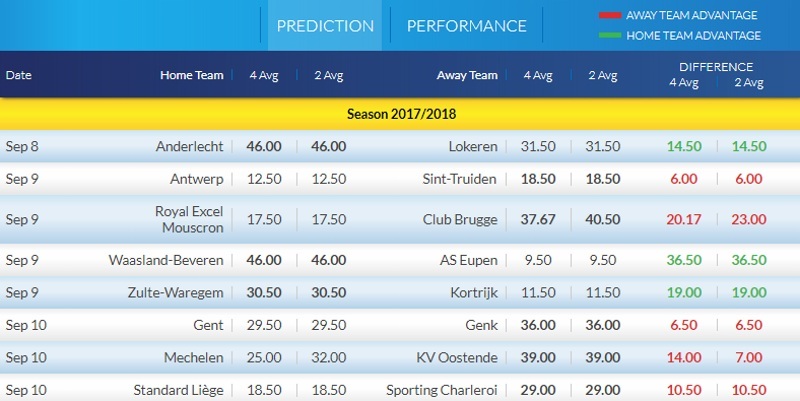 Sint-Truiden have also exceeded expectations with four wins from their first five matches. The big shock is Anderlecht's awful start to the season. Just one win from their first five matches is completely unexpected. Gent are also struggling with just 2 points from their first five games. It is proving to be quite a riveting start to the Belgian league season. @ElPrincipito007, @Marc Kearney, @Mindfulness, @Tiffy, @gogetta, and @clubgowi, really interested to hear your tips for this week. If certain teams don't win then they could well be pressing the panic button at this early stage.